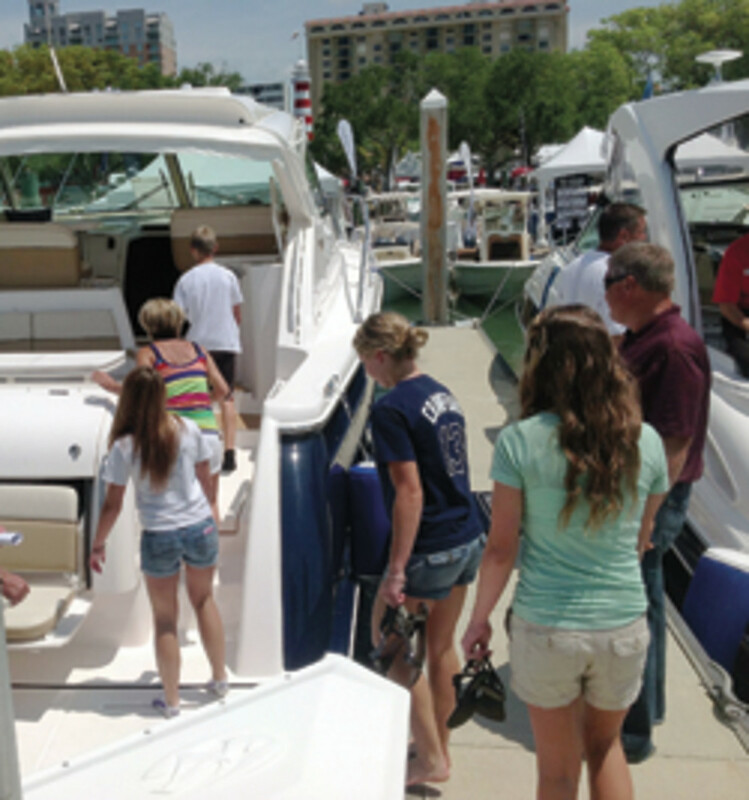 It might be small compared to the Lauderdale and Miami shows, but the Suncoast Boat Show in Sarasota, Fla., this spring certainly attracted serious shoppers, manufacturers and dealers say. The number of new boats displayed in the water at the show increased by 25 percent from last year, with most of the increase consisting of boats under 45 feet, according to the producer, Show Management. This year there was a 28 percent increase in new boats under 45 feet in the water. Galati received several brokerage listings as a result of its display at the show, Plymale says. “This is very important to our brokerage segment, with today’s buyer continuing to seek excellent value in late-model products,” he says. MarineMax of Sarasota and Venice, Fla., also prospered at Suncoast. Sales were up extensively from last year, says Tyler V. Choyke, general manager of MarineMax Venice. MarineMax carries the Boston Whaler, Sea Ray, Azimut, Harris FloteBote, Bayliner, Hatteras, Meridian, Cabo and Mako brands. Boston Whaler’s Vantage series did well. The Sea Ray Venture, with its concealed outboards, and the Azimut 54 drew lots of interest, too. 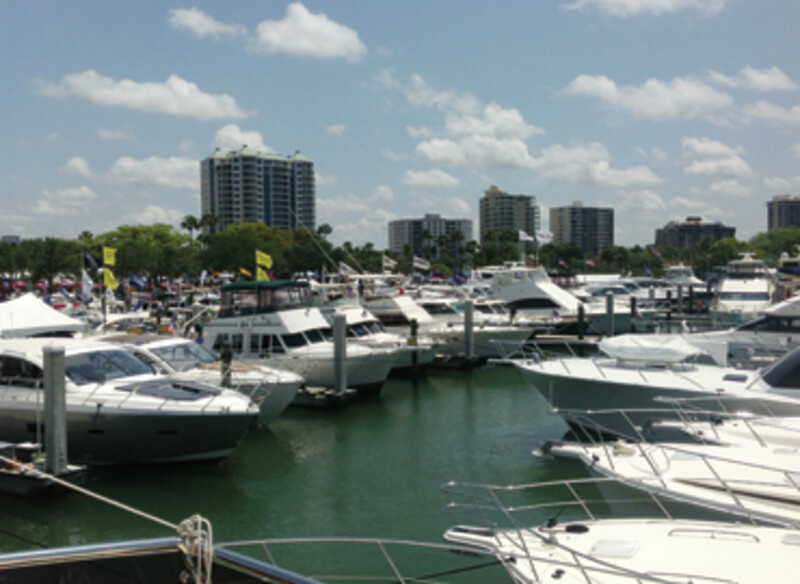 MarineMax Venice and MarineMax Sarasota displayed a combined 18 boats at the show. Rossiter’s local dealer, Big Toy Sales & Storage of Venice, sold a 17-footer and arranged sea trials with five potential buyers, he says. The Suncoast show featured a combined 155 new and used boats in the water — an increase from 133 last year, according to Show Management. The number of exhibitors increased 2 percent. There were more boats on land this year, compared with last year, but specific numbers were unavailable. Recent enhancements to the free MyBoatShow smartphone app — designed to help explore the docks and tents — helped showgoers navigate their way around the event, which was held at Marina Jack on Sarasota Bay. Show Management is owned by Active Interest Media, parent company of Soundings Trade Only.